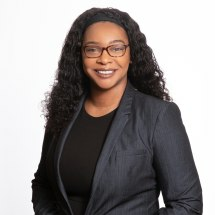 Khara Moody is an experienced civil litigation attorney, having represented several creditors in collections and bankruptcy proceedings. She is admitted to practice in Michigan and the United States District Court for the Eastern District of Michigan. Khara is a graduate of Wayne State University (B.S. 2011) and the University of Pittsburgh School of Law (J.D. 2014). A focus of her legal education was coursework in civil litigation planning and advocacy. Prior to joining the Schwartz Law Firm, Khara served as an associate attorney for Shermeta Law group, PLLC.